Installing auxiliary LED lighting should be easy with little or no cutting and splicing. 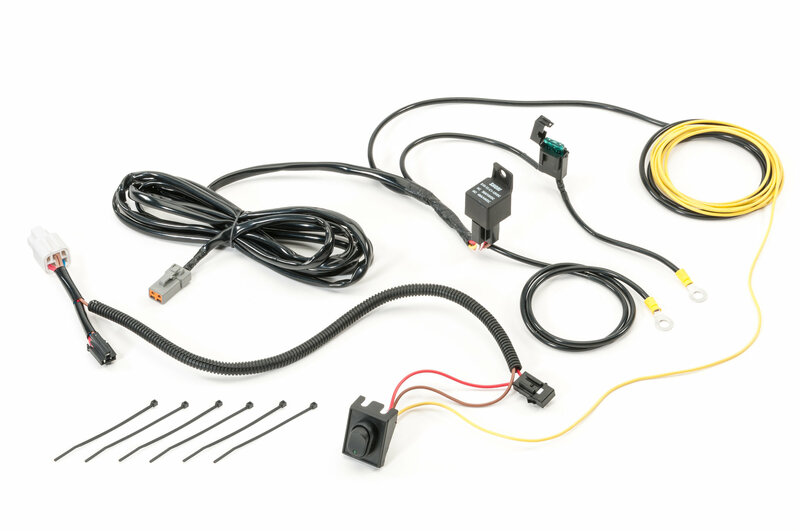 It's important to purchase your lights along with a high quality compatible wiring harness. These preferred Deutsch style connectors ensure a trouble free, waterproof electrical connection. Lead with Deutsch connector is 120" long. 1. Drilling may be required. What is the wire gauge going to the lights and max current rating? Hello, this is constructed from 12 gauge wiring and has a maximum draw of 320 watts. Thank you for your question.